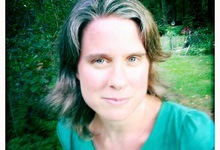 Brooklyn-based Jennifer Reeves has made 20+ films since 1990. 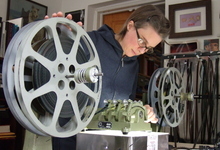 Her personal films push the boundaries of film through direct-on-film techniques, first-person cinematography, intricate sound and image montage and optical-printing. Her experimental-narrative films, direct-on-film works, and multiple-projection performances, have screened extensively from the Berlin, Toronto, Sundance, and Hong Kong Film Festivals, to universities, micro-cinemas and museums. Full retrospectives of her films have been held at venues including Era New Horizons Film Festival in Poland, Berlin’s Kino Arsenal, Anthology Film Archives, and San Francisco Cinematheque. In 2012 Reeves was named one of the “Best 50 Filmmakers Under 50” in Cinema Scope.